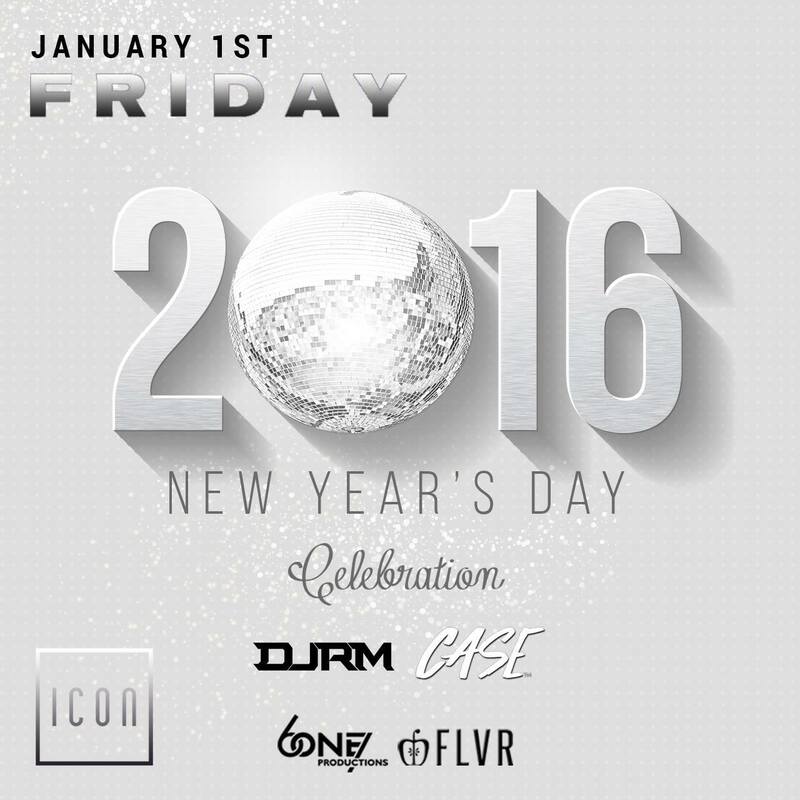 New Years Day falls on a Friday this year, which only means one thing: 3 nights of partying. You can sleep the long weekend off when you get back to work on Monday, but NYE on a Thursday night is the perfect party-storm, so don’t blow it. GEM’s Brunch club is legendary in Boston, and this New Year’s Day hangover edition will be no different. 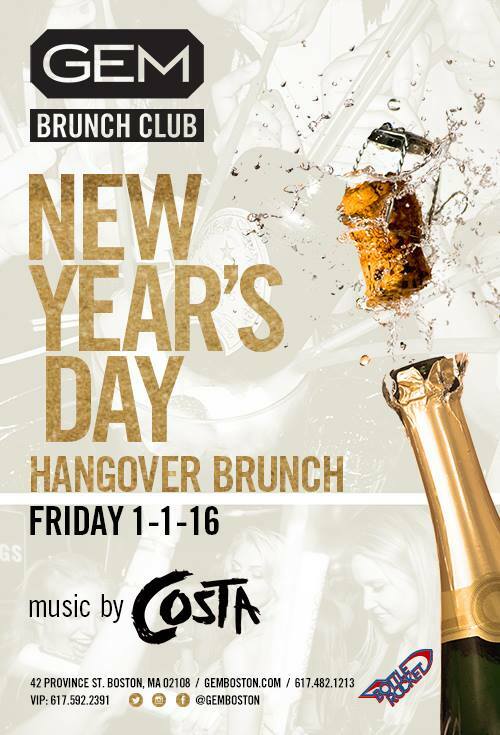 The party kicks off at noon with a full Brunch menu served in the lounge, and at 3pm the shades are pulled, the DJ spins top 40 and EDM hits, and party goers get into full club mode. Boston’s Brunch Bourgeois is moving it’s high energy residency from Society on High to Nix’s Mate for the ultimate New Year’s Hangover Brunch. Book a table on Tablelist to take care of your food, drinks or bottles ahead of time. There’s nothing worse than trying to settle the tab when the struggle is real. 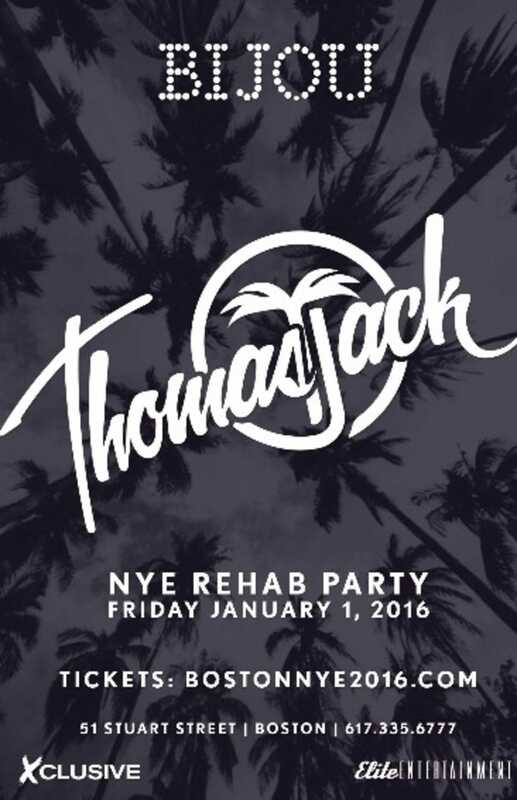 Tropical House superstar Thomas Jack brings his sigature sunny sound to Bijou on New Year’s Day, with doors opening at 10:30pm. Good thing you’ll have all day to recover, becuase this one’s sure to be a banger.